These bathroom exhaust fans from AUPU clear away the steam and fumes efficiently and quietly. Two ventilation speeds operate via a two-button switch. The ball-bearing condenser motor is protected by an age-resistant body that's built to last. 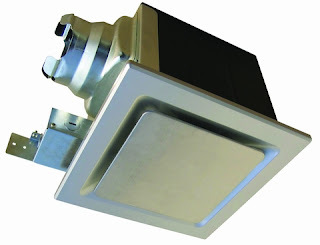 Adjustable mounting brackets make these exhaust fans easy to install.